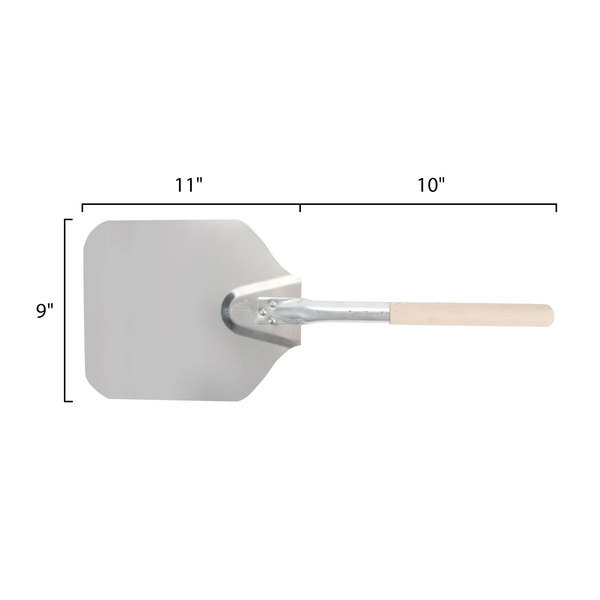 Thanks to its thin 14 gauge aluminum blade, this American Metalcraft 2109 9 x 11" pizza peel makes it easy to slide small, Neapolitan style pizzas in and out of your pizza oven. 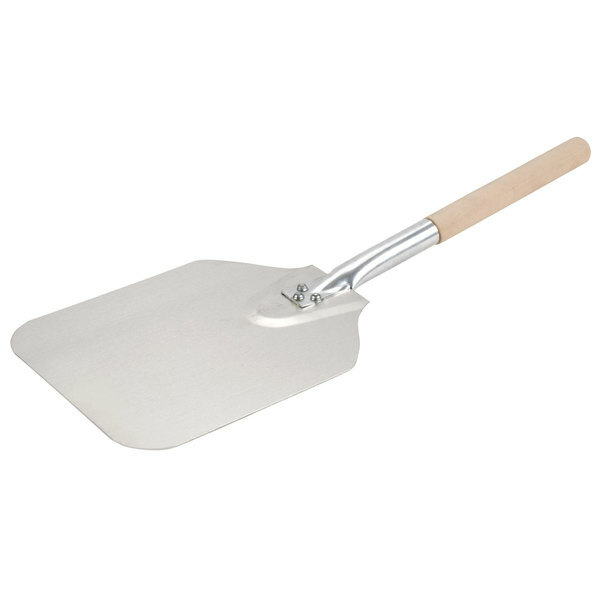 For added stability, the 10" wood handle is triple-riveted to the pizza peel's blade. 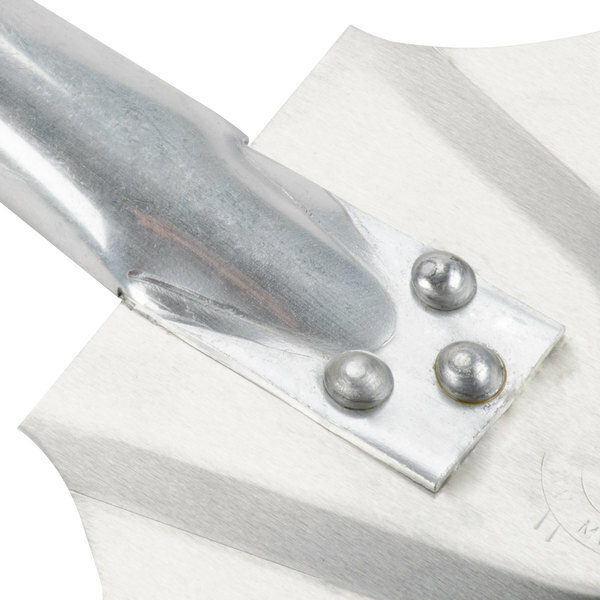 Aluminum pizza peels are a popular, money saving alternative to wood pizza peels because they don't need to be seasoned and won't absorb unwanted odors and food particles. Love these AM peels. 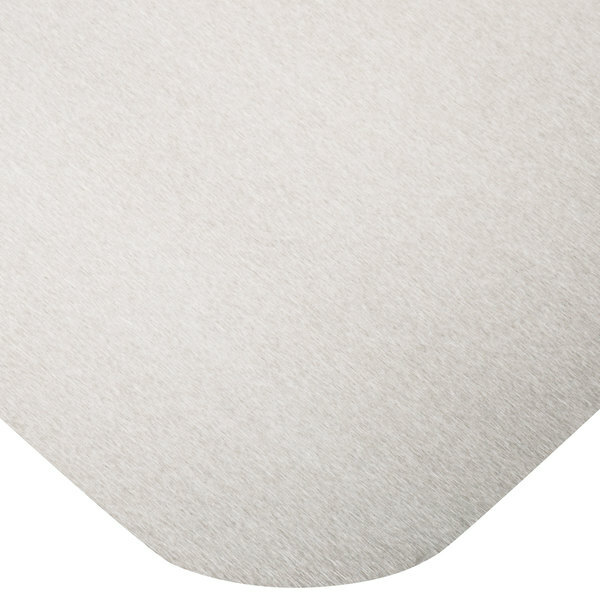 Have them in different sizes, this one is great for working a store that doesn't sell larger pies. But it's great for 8", 10", up to 12" Well built, and a pleasure to use. Perfect size for a personal size pizza. 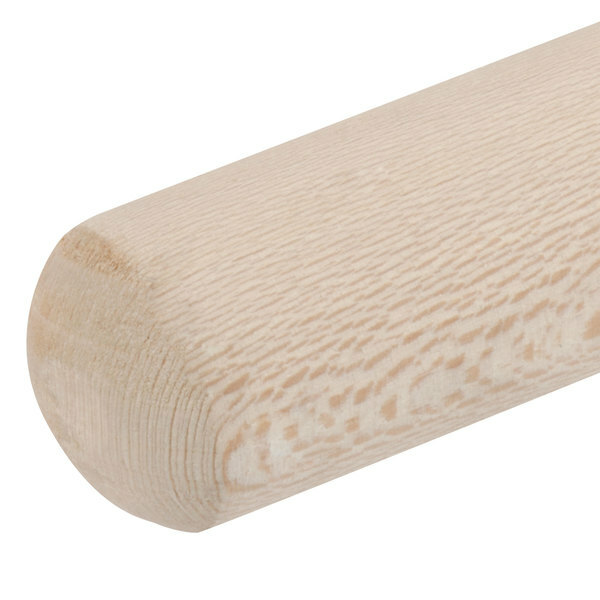 The handle seems pretty solid even though it's a separate wooden piece. We will see how it holds up over time. Good value pizza peel. Well-constructed, joints are nice and tight. Doesn't have a hanging cord, so keep that in mind. Protective plastic didn't come off well under/around handle joint. Really nice pizza peel. Great size, and packaged really well. Highly recommend if you're looking for a small compact, and nicely priced peel. You'll love it! I purchased the round one as a gift for my daughter (a chef) to use with her small pizza oven. She loved it so much I decided to purchase this one for our kitchen and it's the perfect addition. The size and quality is spot on. we use this everyday at our resort for taking pizzas out of the oven. It works great to reduce hand contact with the food as well as reducing the risk of burns from the oven. This is the best thing I purchased for making pizza at home! its not huge, it has a short handle as this is all you need for home use! I love all the American Metalcraft supplies, they are built well and I have no complaints. 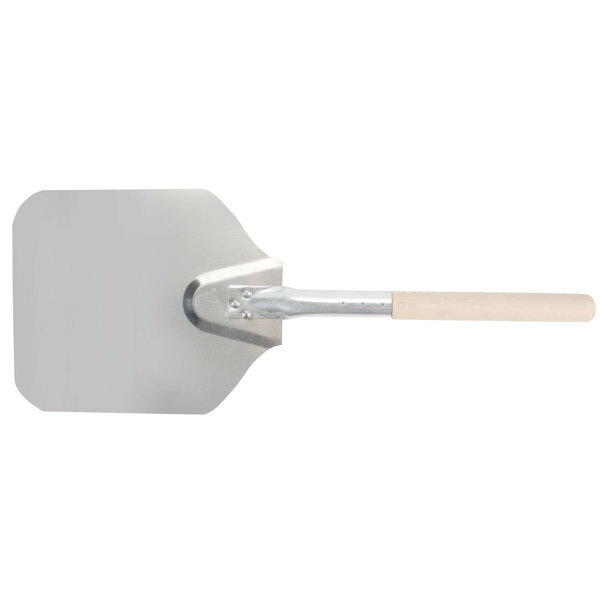 This peel works well for smaller artisan and personal pizzas but I find myself using it most for pulling out breads, bagels and lifting pies/pastries directly out of the oven safely. It's really easily to control since it's smaller. 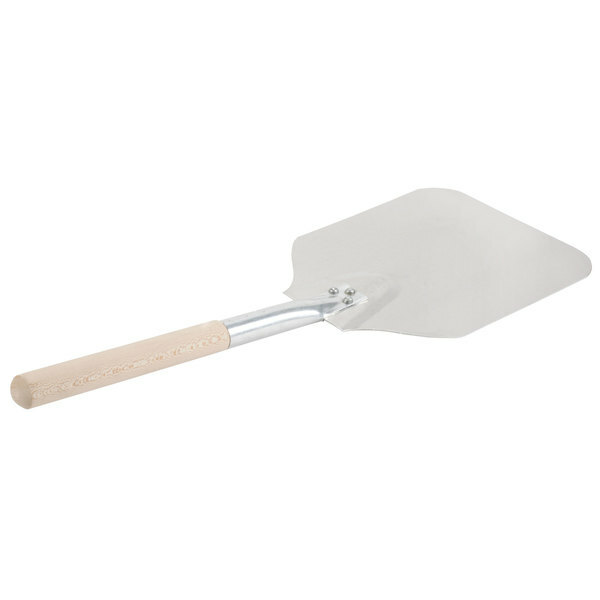 I also have the bigger version of this peel which is amazing for larger, thin crust pies. I advise purchasing a few in different sizes/handles, you won't regret it. Very sturdy, heavy duty construction. 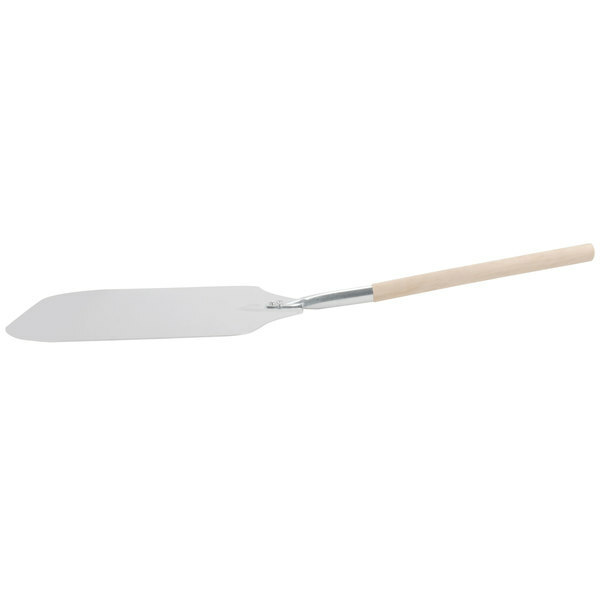 The long wooden handle is the perfect length to work with while removing pizzas from a hot oven. This can also be used for a cake lifter!